So, as any regular readers of my reviews can guess, I am not a big fan of romance novels, or genre novels in general. 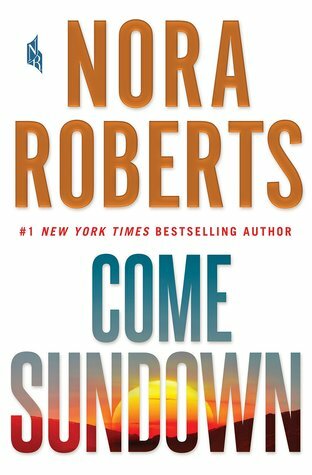 I normally skip over the Nora Roberts books in my path, even though she's a huge seller. But this one intrigued me when it was named an Indie Next pick by independent bookstores, as they normally pick fairly highbrow books. I figured this was the one to check out. It's set at a ranch in Montana, which over the years has turned most of itself into a dude ranch and spa sort of vacation spot, although the Bodine/Longbow family have also kept part of it as a working ranch. Bodine Longbow, the great-granddaughter, runs the resort, where an old family friend has recently been hired, Cal, who's not only a good horseman but also looks good doing it (Sundown is his horse.) Her brother has his eye on her new events coordinator, and baby brother likes the looks of the assistant, and everyone seems ready to pair off and live happily ever after. Which would be light on plot even for a romance novel. But there's a completely different side to this novel as well. Back in the 1970s, Alice ran away from home after her sister Maureen's wedding, long before Maureen's daughter Bodine was born. The family first was angry, then worried, and finally mostly resigned. But what they don't know is that after a couple of years away, Alice was on her way home, in fact was very close to home, when she took a ride from a stranger that went horribly, horribly wrong. The very bad man who picked her up thought she'd make a good wife for breeding, and he kidnaps her and holds her prisoner. Naturally, these two storylines eventually come together, and it really makes for an interesting dual-plot to have one side be rather sunny and happy, and the other story be very dark and even sadistic. It's a nice relief from the dark storyline, and honestly life does go on and people do fall in love even when horrible things are happening elsewhere. It's not an easy balance, but Ms. Roberts does pull it off. If you like a romance with a little more meat on the bones, this is a great book, and if you're skeptical of romances in general, this is a good meld of genres that shows how the romance side can bring optimism and sunshine to an otherwise potentially depressing story.